Got zucchini? And yellow squash? The way veggie gardens produce this time of year, you may be overloaded with both – and looking for recipes. 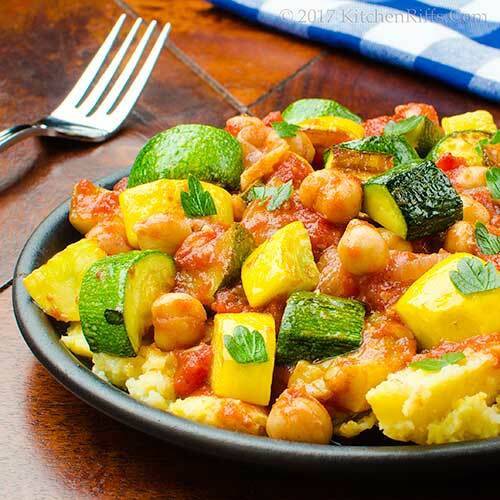 Serve this quick stir fry over polenta or rice, and you have a dish that’s perfect for Meatless Monday. But it’s tasty enough for company, too. In fact, we bet they’ll ask for seconds. So double the recipe and use up even more of that bumper zucchini harvest. You might think punch is just a watered-down kiddie drink, fit only for holiday gatherings. Well, let us introduce you to the Bombay Presidency Punch. Its ancestry features hard-drinking sailors, East India traders, and a Hindustani-inspired name. Fresh peaches are one of the glories of summer. But sometimes the peaches we find at the market are less than fully ripe. What to do? Roast them, we say (grilling works too). It brings out their sweetness and concentrates their flavor. You don’t need to save them for dessert, either. Their sweet intensity plays well with savory ingredients (we like to use salty ham or prosciutto, plus goat cheese). 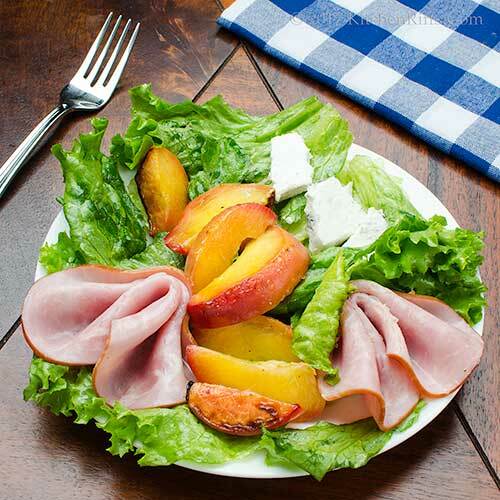 Mix in some balsamic vinegar and olive oil, and you have a scrumptious salad. A versatile one, too. This salad is fancy enough to start a summer dinner party. But it’s easy enough to serve as a quick weekday main. We love us a Manhattan Cocktail. As traditionally made, though, it can be a bit heavy for warm weather. But fear not. The Fourth Regiment is here to save us. 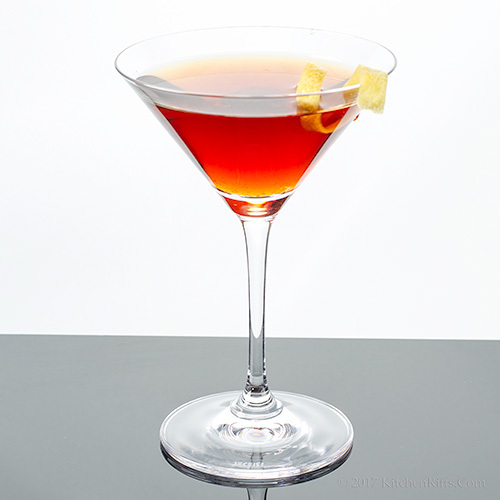 It has less whiskey and more sweet vermouth than a traditional Manhattan, so it’s less alcoholic. 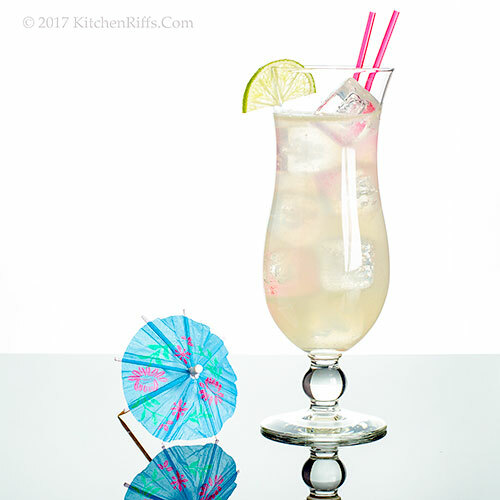 And it uses three different kinds of bitters, which gives it a spicy, aromatic flavor that pairs well with many summer foods. Like barbecue, for example. Sometimes it pays to march to a different drummer.